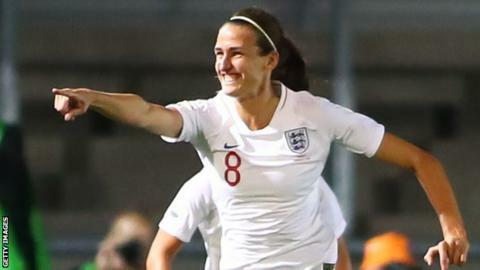 Manchester City midfielder Jill Scott has withdrawn from England's squad for the SheBelieves Cup. The Football Association says the decision has been made "in order to manage her return to full fitness ahead of this summer's World Cup". Scott, 32, played the whole game as City beat Arsenal on penalties to win the Women's League Cup on Saturday. Orlando Pride forward Chioma Ubogagu has been called up as a replacement for the tournament in the United States. England face Brazil on 27 February, the US on 2 March and Japan on 5 March. All three matches will be broadcast live on the BBC. England finished second in last season's competition after recording a 4-1 win over France - Phil Neville's first match as head coach - and drawing 2-2 with Germany, before slipping to a 1-0 defeat by the US in the decider. Chelsea defender Millie Bright is already out of the squad through injury.